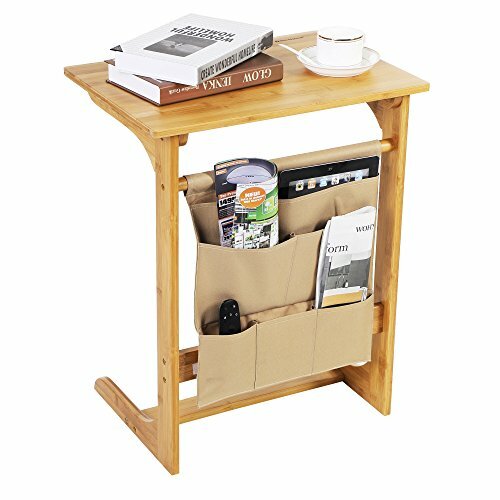 SONGMICS bamboo laptop table can be placed by your sofa to add extra storage space. Made from solid bamboo to give a quality, robust finish, designed with minimalist shape and curves, it will slide effortlessly beneath a sofa, instantly providing a work surface at sofa or armchair level. The side table is functional and stylish and adds a decorative edge in any room. -Wipe clean the product with dry cloth at a regular time. -The product should be used in dry environment, avoid exposure to direct sunlight and damp areas.